January 2010 – Chaos is Forever!!! My friend Vinay calls me Paparazzi Potter. Motivated by the nick name, I have been doing some paparazzi work off late and have come across some interesting gossip,sorry truth,truth and nothing but truth. 2009 has seen many controversies and our celebrities have made resolutions for 2010.I have learned about some of these resolutions from our so called celebrities. Let’s have a look. Shiney Ahuja has decided to do all the household chores himself as it’ll keep him occupied while being jobless and it will serve another bigger purpose too, of introspection.No maids in 2010! Tiger Woods has a resolution too . But just as he was announcing it, he saw a blonde passing by and before they could catch him, he was gone. Satyam’s RamaLinga Raju has other plans. 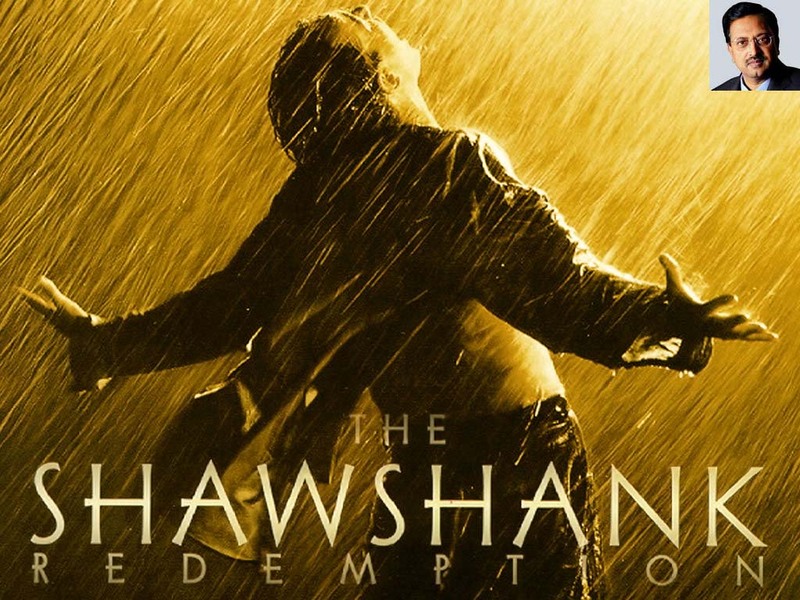 He has just watched Shawshank Redemption in jail and now is planning to reprise Andy Dufrense’s character in real life, but in a much professional and polished way than digging a hole for 20 years. He has planned to manipulate the records in the jail so much that there is will be no evidence that he was ever in jail. And finally he’ll make a dramatic escape, something like in this pic. In midst of all this, one man has made a silent resolution to himself. Or I wish he has. Hit a century in every match :D. Sachin Tendulkar : Switch to GODMODE!